An image of Princess de Montglyon and Countess d'Argenteau famous "Champion Old Hall Beatrice" standing in snow covered landscape by Maud Earl. The painting was famously reproduced in Compte Henri de Bylandt (H.A. 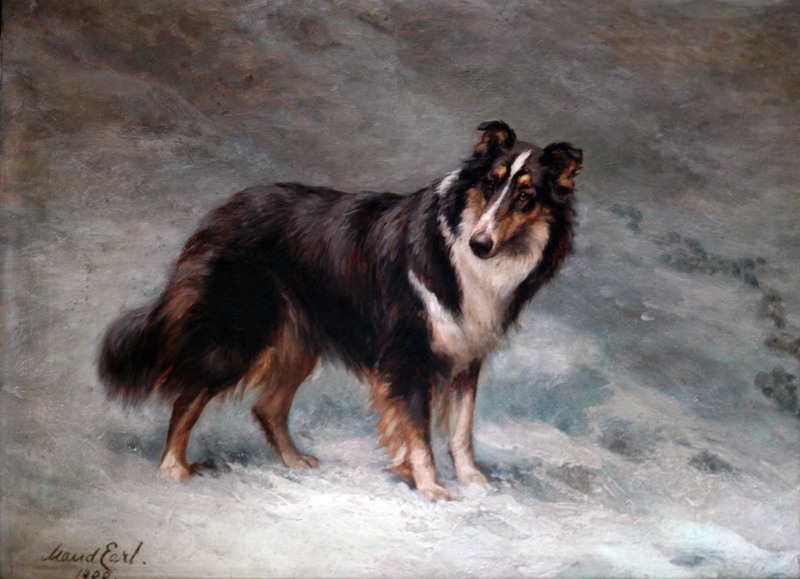 graff van Bylandt) "Les Races de Chiens" / "Dogs of all Nations" published in Brussels in 1897. 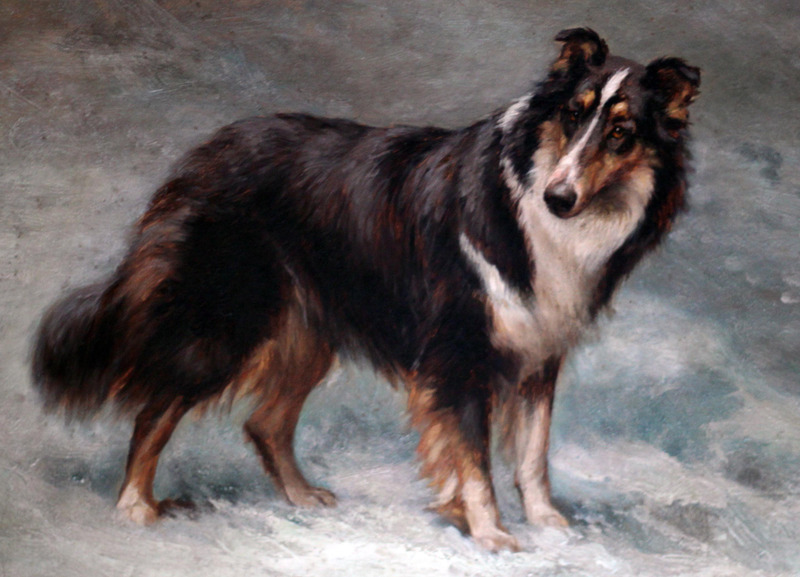 “Other well-known inmates of Her Highness's kennels are Old Hall Shamrock, Lily Rightaway, Champion Barwell Masterpiece, Lady Clinker, and Ormskirk Iodone, all Rough-coated Collies; and Jock, and Worry of Argenteau, Fox-terriers. The kennels at Chateau d'Argenteaux, in Belgium, are well appointed, and every care and attention is given to the comfort and well-being of the animals, under the personal supervision of the Princess, who takes great interest in her pets. Her Highness was born Princess de Montglyon and Countess d'Argenteau, and is the wife of the Due d'Avaray. 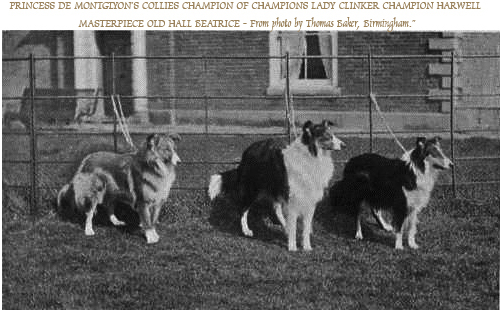 Pictured above in black and white "Princess De Montglyon's Collies Champion Of Champions Lady Clinker Champion Harwell Masterpiece Old Hall Beatrice" - From photo by Thomas Baker, Birmingham.